This unit group is for all machinist and machining and tooling inspectors: Machinists set up and operate a variety of machine tools to cut or grind metal, plastic or other materials to make or modify parts or products with precise dimensions. Machinists make very unique instruments and components with specific requirements for use in industrial machinery or products. 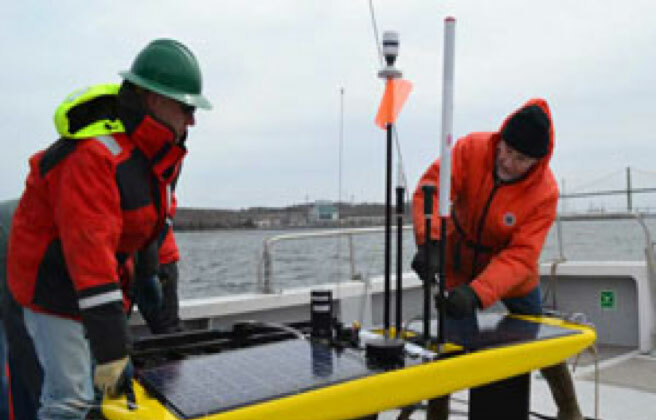 In the oceans technology sector, machinists design and manufacture ocean technology instruments for a variety of initiatives such as remote sensing, data loggers for aquatic life migratory patterns, underwater sonar and detection systems, seabed imaging, offshore exploration for oil and gas, and subsea exploration. Be precise in the fabrication, modification and repair of mechanical equipment. Allows qualified tradespersons to practice the trade in any province or territory in Canada where the trade is designated without having to write further examinations. This program is the first step towards Journeyperson Certification in the Machinist trade.